Perhaps more importantly, what will happen to you if you’re convicted of breaking them? Here’s a quick guide to what you need to know if you’re accused of a gun crime in Chicago, Rolling Meadows, Skokie or elsewhere in Illinois. It turns out that no matter how many times people say, “Chicago has the strictest gun laws in the country,” that’s simply not true. 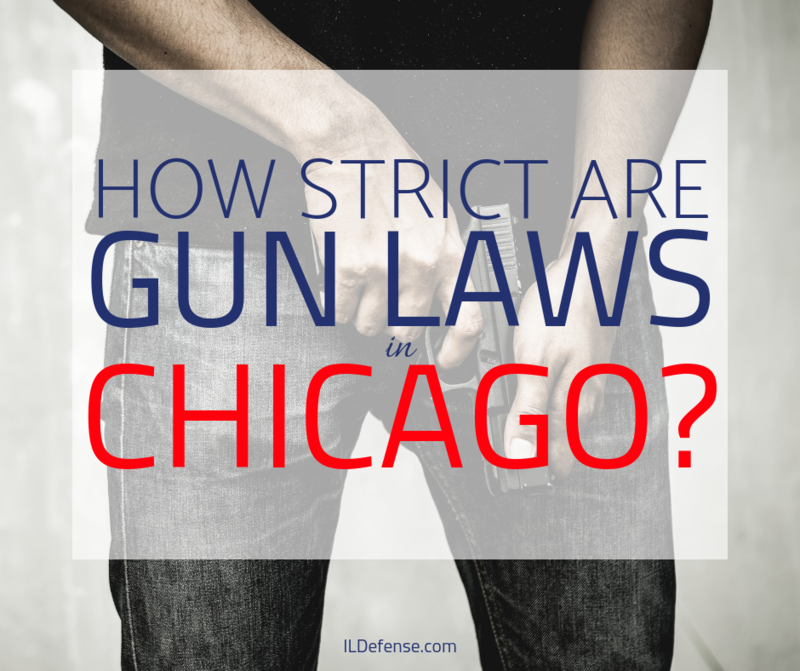 Gun laws in New York, Los Angeles and San Francisco are all much stricter than Chicago’s are today. Back in 1982, the mayor of Chicago – Jane Byrne – banned firearms that weren’t already registered with Chicago police. But that ban was struck down by the Supreme Court in 2010, and by 2012, another court struck down the ban on concealed firearms. Then, in 2013, Illinois granted its residents the right to concealed carry. What About Unlawful Use of a Weapon? Unlawful use of a weapon is a crime. It’s a Class 4 felony, which is punishable by 1 to 3 years in prison. However, there are several other crimes that can involve firearms – like armed robbery, kidnapping, carjacking and homicide – that all fall under the umbrella term “violent crimes.” These crimes can carry extremely harsh sentences; in some cases, even up to life in prison. What if You’re Accused of Breaking Chicago’s Gun Laws? If you’re arrested and charged with any type of gun crime, you probably need to talk to a lawyer as soon as possible. You don’t have to answer any questions the police ask you. You only need to say that you want to talk to your attorney. Call us right away at 847-920-4540 so we can help protect your rights under Illinois law. We’ll be happy to give you a free consultation with an experienced attorney. Your lawyer will ask you several questions and start building a defense that gets you the best possible outcome.